“DON’T PUT ALL YOUR EGGS IN ONE BASKET.” That’s common advice for investors, and for good reason. Spreading assets across different baskets – such as stocks and bonds – can help to lower risk if one or more baskets hit a rough patch in the markets. This type of diversification can get quite sophisticated, breaking down the big asset baskets into smaller ones such as small-cap, large-cap, Canadian, U.S. and international stocks, as well as government, corporate, Canadian, U.S. and international bonds. But strategic, active asset allocation adds another important dimension. In contrast to simply diversifying a portfolio, active asset allocation moves eggs between baskets based on current opportunities in the financial markets. Whereas diversification is a relatively static approach – choosing how many eggs go into each basket and then leaving them alone – active asset allocation is dynamic. What’s most important to investors, of course, is that adjusting a portfolio’s positioning may help to reduce risk and improve returns over longer periods of time. Active asset allocation manages a portfolio’s risk and reward by continually adjusting the asset mix, that is, how much is invested in various asset classes, such as stocks, bonds and cash. These asset classes tend to be associated with different levels of risk and historical returns, and also tend to perform differently at different points in an economic cycle. The goal of asset allocation is to combine asset classes in such a way as to achieve the highest possible return with the lowest risk through various economic environments – while also remaining true to the portfolio’s stated objective. It’s a complex process, best achieved through a professionally managed asset allocation portfolio. In practical terms, a portfolio managed according to an active asset allocation strategy might start out with the same mix of asset classes as a diversified portfolio. Over time, however, the asset mix may shift based on the portfolio manager’s evaluation of broad global economic trends, how expensive or cheap certain asset classes become, and many other factors. An asset allocation portfolio may include both actively managed mutual funds and passively managed exchange-traded funds (ETFs). Sometimes, the mutual funds make up the core of the portfolio, while ETFs allow the portfolio manager to quickly and inexpensively exploit very specific or non-traditional asset classes and shorter-term opportunities. By complementing active management with passive management, asset allocation portfolios structured in this way can provide investors with another layer of diversification. It’s important to note that professionally managed asset allocation portfolios depend on a portfolio manager’s expertise. The manager is responsible for both identifying the best opportunities and assessing their potential to have a positive impact on the portfolios. 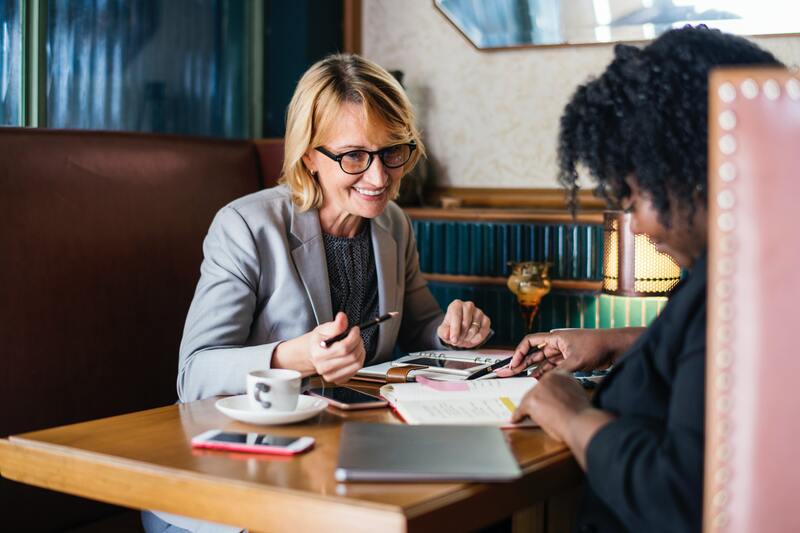 This means it’s wise to research different managers and choose one with a strong track record – an area where your advisor can provide invaluable support. Asset allocation allows managers to more actively manage portfolios toward better performance and lower risk, and to harness the power of a strategy many consider to be a key determinant of longer-term investment success. Its benefits run even deeper than that, however, because asset allocation may also give investors more confidence in their investments. Secure in the knowledge that the professional managers they’ve chosen are monitoring and responding to events affecting the markets, they may be less tempted to respond to temporary dips by selling and then staying on the sidelines until markets recover. Remaining invested in the markets helps investors avoid selling low (after a dip) and buying high (after a recovery). In this way, asset allocation can reinforce the investing discipline many advisors advocate, helping investors stay focused on their short-term and long-term financial goals because they know managers with deep experience are carefully watching market conditions and making any necessary portfolio adjustments. Talk to your advisor about whether strategic, active asset allocation can help you achieve your objectives. Whether it’s appropriate for you will depend on factors such as your investment goals, tolerance for risk and time before you need access to your money. It’s an approach that may deepen the advantages of diversification for you, enhancing your investment portfolio’s potential for reward and protection from risk.